VoIP Much Phone Company Inc provides Enhanced 9-1-1 (E911) service to it's customers on all outbound services. While Enhanced 9-1-1 is the most advanced form of Emergency Dialing Service available, there are some limitations when it is provided by a VoIP provider such as VoIP Much Phone Company. Therefore, you should always have an alternative means of accessing emergency services. Description: VoIP services allow you to make or receive telephone calls over the Internet to or from the public switched telephone network. The nature of VoIP telephone calls, while appearing similar to traditional telephone calling services, create unique limitations and circumstances, and you acknowledge and agree that differences exist between traditional telephone service and VoIP telephone services, including the lack of traditional 9-1-1 emergency services. 9-1-1 service: Because of the unique nature of VoIP telephone calls, emergency calls to 9-1-1 through your VoIP service will be handled differently than traditional phone service. The following provisions describe the differences and limitations of 9-1-1 emergency calls, and you hereby acknowledge and understand the differences between traditional 9-1-1 service and VoIP calls with respect to 9-1-1 calls placed to emergency services from your account as described below. Placing 9-1-1 calls: When you make a 9-1-1 emergency call, the VoIP service will attempt to automatically route your 9-1-1 call through a third-party service provider to the Public Safety Answering Point ("PSAP") corresponding to your address of record on your account. However, due to the limitations of the VoIP telephone services, your 9-1-1 call may be routed to a different location than that which would be used for traditional 9-1-1 dialling. For example, your call may be forwarded to a third-party specialized call centre that handles emergency calls. This call centre is different from the PSAP that would answer a traditional 9-1-1 call which has automatically generated your address information, and consequently, you may be required to provide your name, address, and telephone number to the call centre. How your information is provided: The VoIP service will attempt to automatically provide the PSAP dispatcher or emergency service operator with the name, address and telephone number associated with your account. However, for technical reasons, the dispatcher receiving the call may not be able to capture or retain your name, phone number or physical location. Therefore, when making a 9-1-1 emergency call, you must immediately inform the dispatcher of your location (or the location of the emergency, if different). If you are unable to speak, the dispatcher may not be able to locate you if your location information is not up to date. Correctness of information: You are responsible for providing, maintaining, and updating correct contact information (including name, residential address and telephone number) with your account. If you do not correctly identify the actual location where you are located, or if your account information has recently changed or has otherwise not been updated, 9-1-1 calls may be misdirected to an incorrect emergency response site. Disconnections: You must not disconnect the 9-1-1 emergency call until told to do so by the dispatcher, as the dispatcher may not have your number or contact information. If you are inadvertently disconnected, you must call back immediately. Connection time: For technical reasons, including network congestion, it is possible that a 9-1-1 emergency call will produce a busy signal or will take longer to connect when compared with traditional 9-1-1 calls. Failure of service or your service access device - if your system access equipment fails or is not configured correctly, or if your VoIP service is not functioning correctly for any reason, including power outages, VoIP service outage, suspension or disconnection of your service due to billing issues, network or Internet congestion, or network or Internet outage in the event of a power, network or Internet outage; you may need to reset or reconfigure the system access equipment before being able to use the VoIP service, including for 9-1-1 emergency calls; and changing locations - if you move your system access equipment to a location other than that described in your account information or otherwise on record with VoIP Much Phone Company. Alternate services: If you are not comfortable with the limitations of 9-1-1 emergency calls, VoIP Much Phone Company recommends that you terminate the VoIP services or consider an alternate means for accessing traditional 9-1-1 emergency services. Inform other users: You are responsible for notifying, and you agree to notify, any user or potential users of your VoIP services of the nature and limitations of 9-1-1 emergency calls on the VoIP services as described herein. Liability: Neither VoIP Much Phone Company Inc nor its officers, directors or employees may be held liable for (i) any claim, damage, or loss (including but not limited to profit loss), or (ii) any damage as a result of service outage, data loss. The customer hereby waives any and all such claims or causes of action, arising from or relating to any service outage and/or inability to dial 911 from his customer phone line or to access emergency service personnel unless it is proven that the act or omission proximately causing the claim, damage, or loss constitutes gross negligence, recklessness, or intentional misconduct on the part of VoIP Much Phone Company Inc.. Subject to the provisions of this agreement, VoIP Much Phone Company Inc. does not provide any other warranties of any kind either express or implied, including without limitation the warranties of merchantability and fitness for a particular purpose. The customer agrees to defend, indemnify, and hold harmless VoIP Much Phone Company Inc., its officers, directors, employees, affiliates, agents, legal representatives and any other service provider who offers services to the customer or VoIP Much Phone Company Inc. in relation with the present agreement or the service provided, from any and all claims, losses, damages, fines, penalties, costs and expenses (including, without limitation, legal fees and expenses) by, or on behalf of, the customer, any third party or user of the customers' service relating to the absence, failure or outage of the service, including 911 dialling and/or inability of the customer or any third party or user of their service to be able to dial 911 or to have access to emergency service personnel, as well as any misroutes of 911 calls, including but not limited to their provision of incorrect information to VoIP Much Phone Company Inc. in connection therewith. Addition 911 information can be obtained at: 911 Information. 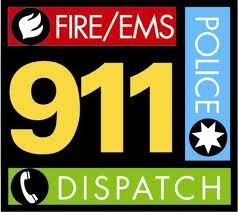 911 stickers for your phone can be obtained on request.